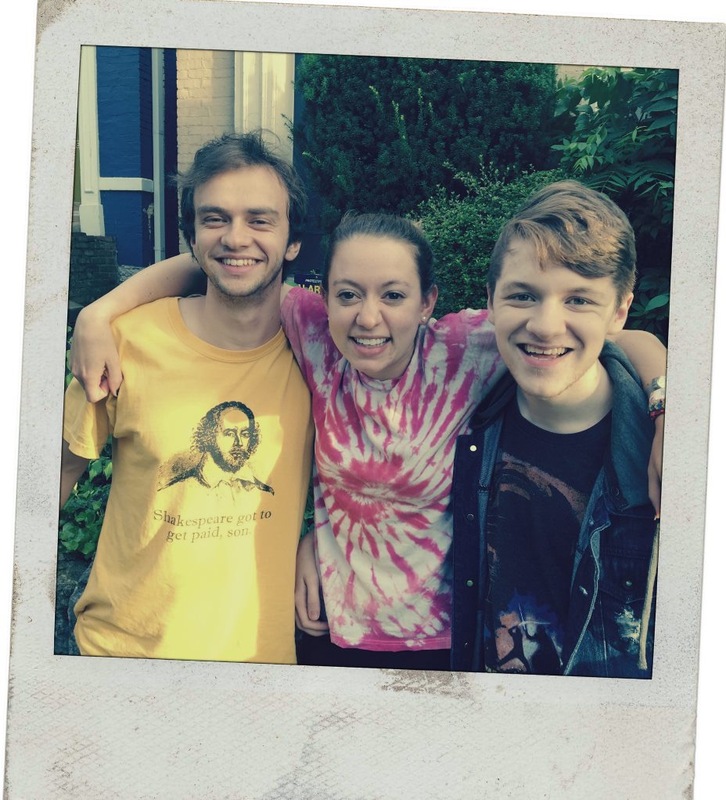 Alex Haydon as Michael, Gracie Taylor as Cass, and Connor Madison as Jake. Photo courtesy Gracie Taylor. When you see as much live theatre as I do, you inevitably have expectations, and one of the challenges becomes how to be fair about preconception. Ideally, a reviewer sits in the dark not knowing what they will encounter, but foreknowledge is usually the norm. You know the company, you know the play, you know the actors; its almost impossible to avoid. I knew Shot in the Dark was an original play by a teenage playwright who I was familiar with from Commonwealth Theatre Center, where she is a student, and I had interviewed her two days earlier along with two other participants in the Louisville Fringe Festival, where the play was making its premiere, so I came in with perhaps more understanding of what I would see than might be the case with other shows. There is also the idea that writers of such tender years are often concerned with themes of angst, maturity, and mortality. The cliché of the teenage voice is a reality; it does not invalidate that point-of-view, but it is a reality. Zoë Peterson both meets and defies my expectations for her play. Cass (Gracie Taylor) and Jake (Connor Madison), both 18, sit on the roof of her home drinking beer and occasionally hitting on a bottle of Fireball whiskey. They are best friends but there is a hole where the third of their musketeers once stood: Cass’s brother Michael (Alex Haydon) was killed by a random bullet thrown from a nearby shooting. Cass and Jake still mourn, and the evening-long conversation will explore the depths of that grief, and the secrets that surround the loss. In her first full-length script, Peterson resists any temptation to overstuff her scenario, preferring instead to give the time and space to develop three characters with depth and specificity. In well-calculated flashbacks, we discover aspects of Jake and Michael’s relationship only known to them, as Jake shares Michael’s journal with Cass at the end of the first act. While some of this story is familiar, Peterson allows subtext about the selfishness inherent in grief and the crucial necessity of privacy for young people coming of age at a time when we relinquish it with reckless abandon. Her themes are an open invitation to polemicize, but she crafts her dialogue with admirable restraint. We can discern a commentary on gun violence in the mind of this playwright, but she refuses to compromise her very personal drama with the soapbox. Director Keith McGill guides a well-chosen cast to good effect. Gracie Taylor is such a wide-open conduit for Cass’s emotional journey, her face a fluid roadmap and surrogate for the audience. Alex Haydon is also very loose and charming enough for us to entirely share the deep affection for him expressed by Cass and Jake. Connor Madison gives Jake an unsettled, anxious quality that fairly captures the Sword of Damocles pushing him to reveal so much of what he has withheld from the person that knows him best. Shot in the Dark is a powerful story of the coming generation’s state of mind. 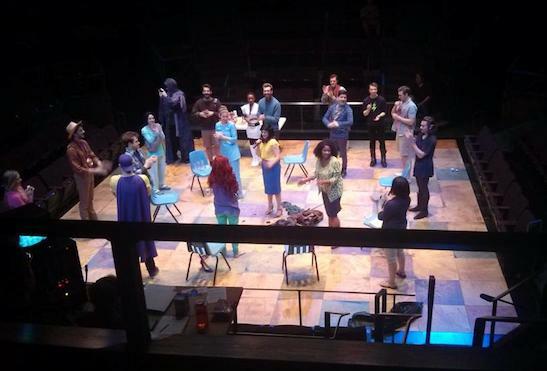 It is both a play of its moment, touching on LGBTQ issues, gun violence, and suicide, while also framing the concentration on identity in universal terms so that it is also a play for the modern age. While it makes perfect sense that it comes from such a young writer who can express this with honesty and integrity because she is living it, the intelligence and discipline on display are all the more impressive because of that fact. 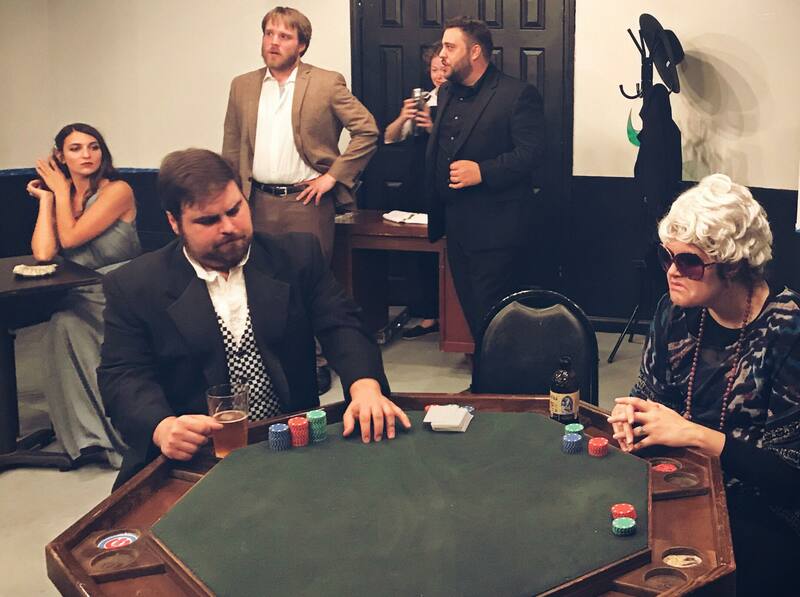 Some credit should go to Derby City Playwrights (DCP), a group devoted to providing local writers a communal structure with which to develop full-length scripts. They are mostly adult in age, and Peterson’s inclusion is based on her submission of this play in nascent form. 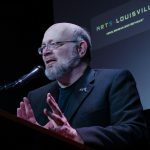 DCP has several events on the schedule in Louisville Fringe Festival, mostly readings, that allow a glimpse of how much work the group has been involved in over time. 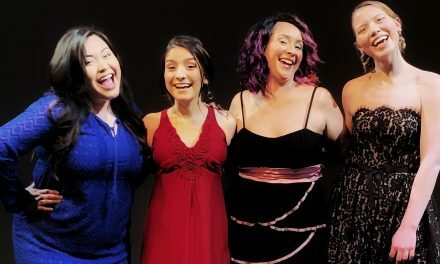 July 13 @ 8:00pm, July 14 @ 10:00pm, and July 20 @ 7:00pm at Four Pegs Beer Lounge.